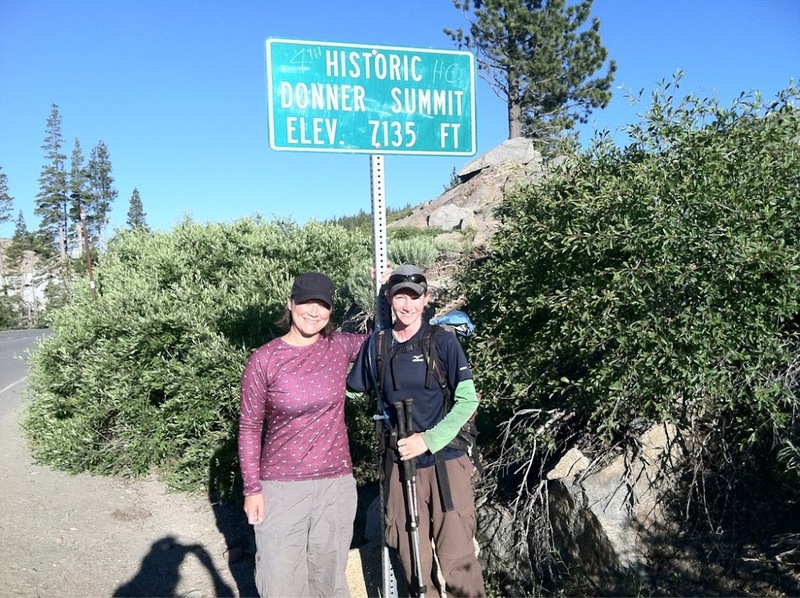 I’m hoping this will be the last day with a ton of snow…This morning, Pilar gave me a ride back to the trail at Donner Pass. Thanks for hosting me Pilar! You rock! It was great to get some down time away from the big hiker groups. Speaking of which, when we drove up, the other hikers who had stayed with the trail angels(Pooh’s Corner) were also being dropped off. Perfect timing! It was Sunshine, Balls, Twiggy, Spock, Spice Rack, Buffalo Jump Sly, Dutch, Drop-n-Roll, and Ninja. So many hikers! We all started hiking and settled into our pace and spread out. I naturally fell in stride with Sunshine, Balls, and Sly. We hiked together as a group the rest of the day through a ton of snow(yep, still a ton!). 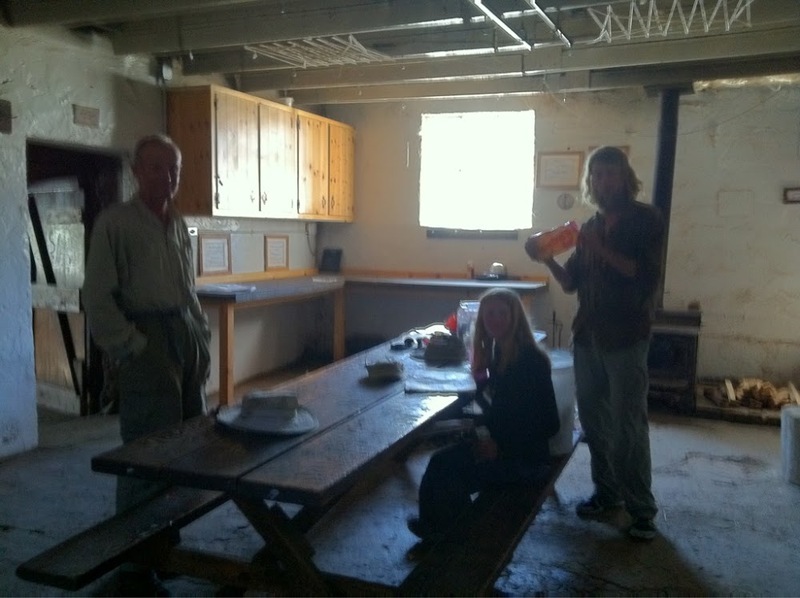 For our morning break, we came across the Peter Grubb Hut and it was really cool. It had a ton of space inside with a table to eat at, a separate bathroom outside, and a loft area up a ladder if yiu wanted to spend the night. It would be a perfect spot to spend a night, but we just ate our first lunch there. I also want to note that Sly is 57yrs old and is the oldest person I’ve met to be up this far having not flipped or skipped. He’s great and in great shape and I think it deserves acknowledging. Way to go Sly! It was fun to look at the trail register and see who had been through there and when. There are a ton of us within a day or two of each other. I can see that Top Shelf and Pine are 4 days ahead, but Blister hadn’t signed, so he might not have stopped there. I was excited to sign in with my Wired stamp from Funhog again. Balls and Sunshine love the idea and are thinking of getting one made for when they do the Appalachian Trail next summer. I was having one of those days that in real life, I would have stayed in my pajamas, curled up in the fetal position, and watched TV. Out here, that is unfortunately not possible, so I had to hike through feeling crummy. Being with the group really helped the day go by today. The day was 75% snow, but for some reason, more tolerable, and we were still able to get a good amount of miles in. 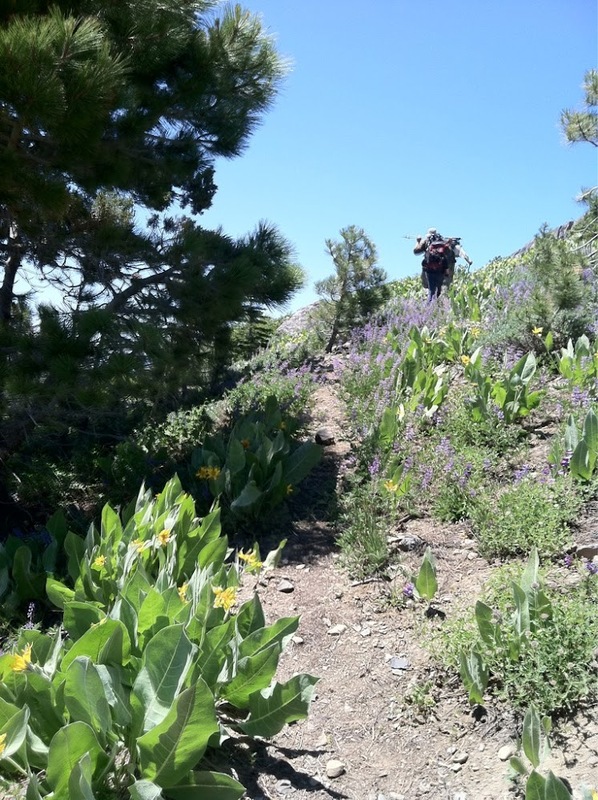 Every so often we got dry trail and wildflowers. Apparently, the next 20mi into Sierra City should be mostly dry, so we are excited to get up early and fly into town tomorrow. 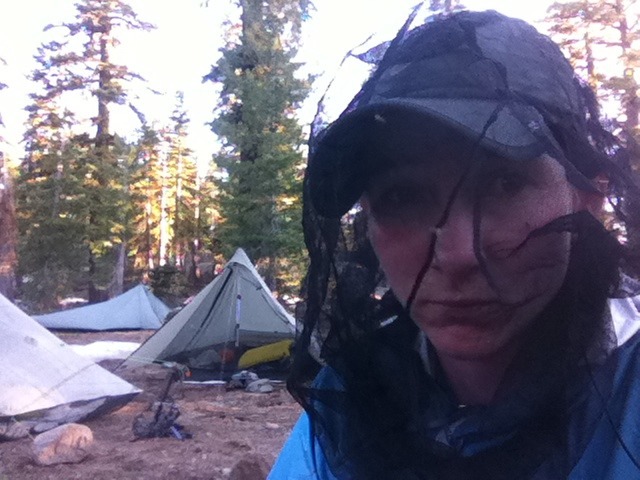 After 11hrs of hiking, we finally got to dry level ground and camped with Twiggy, Spock, Dutch, and Spice Rack. A great group that I’ve only overlapped with briefly every once in awhile. It is still so great to me how cool this community is and how you overlap randomly over such a long period of time. We are all excited because we heard the snow is significally better from here on north. The one drawback is that without snow, we have a ton of mosquitoes.